Have you been doing all of the chores around the house? Get some help! Here are some tips from DealDash. It can be a real struggle to be able to implement regular chores for your kids to do. This being said it should not deter you from doing it. Teaching your kids to make chores a habit can really teach them a variety of good habits for when they get older. Here are some simple tips for getting your child to turn chores into a daily habit, so you can get some help! Read on for more information from DealDash. Firstly, being really consistent is the key to success. You need to make a chore schedule and make sure that your kids stick to it. You can even be a great role model and add yourself to the chore schedule so they can see even you have chores that need to be done each day. Getting your kids into a regular routine will assist you in turning chores into a regular habit. Younger kids, especially, love to help. If you can get them into a routine at an early age it will make your life easier. Do not give in to the feeling that you want to do everything yourself because it seems simpler. You need to teach your kids that they need to do their chores each day and that someone will not come behind them to do it for them. Doing everything yourself will not teach your kids anything about doing chores. If they need help, help them of course. If they can’t get the hang of that particular chore after a week or so, though, you might need to swap it out for a different one until they are a bit older. Getting started early with doing chores will go even farther in getting your child to adopt them into a habit. Also, they will also have a much simpler time becoming a responsible young person and adult if they learn a good attitude about completing chores at an early age. Also remember, though, don’t be too hard on them if they forget. It takes about a month of doing something consistently to turn it into a habit. I hope that this article has given you some good tips to get the whole family involved in the cleaning. Thanks for reading the newest blog article. I hope that you found this DealDash article on getting kids to do their chores interesting. We have a new article here on DealDash Reviewed every single day. It could be cooking, family, crafting, health, or lifestyle. If you need home decor or kitchen items with free shipping DealDash has it! Check out the DealDash home items. DealDash has everything. Have fun on DealDash, and happy bidding everyone! This entry was posted in Cleaning and Organizing, Kids and Parenting and tagged child, children, chores, cleaning, Deal Dash, DealDash, DealDash Auction, dealdash auctions, dealdash.com, family, help, home, house, kids on December 25, 2017 by . Since we’re headed into spring there are chores that need to be done around the house. Here are some chores that you should be doing in March. Being a homeowner is a lot of work! There are many chores and tasks that need to be done every season to keep your home and yard looking pristine and beautiful. Here are the items that you should be checking off of your chore list for March from DealDash. If you have vinyl siding it can get dirty, dusty, and generally grimy. These things can fester on your siding and lead to mildew. Ew! March is the time to clean off that siding and make everything look fresh and clean for the Spring. 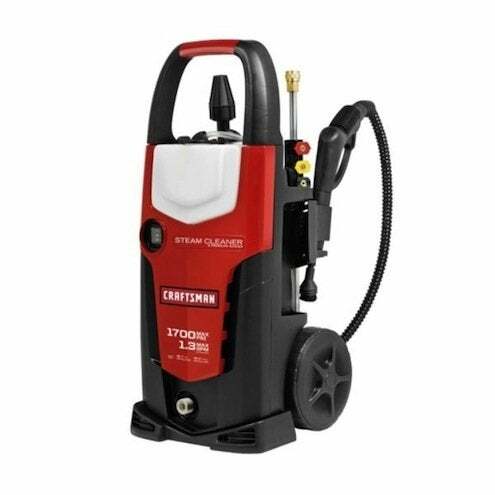 Using a power washer is best, and you can get one from DealDash! You can also use a hose and a long-handled scrub brush, but believe me when I say that the power washer is the way to go. 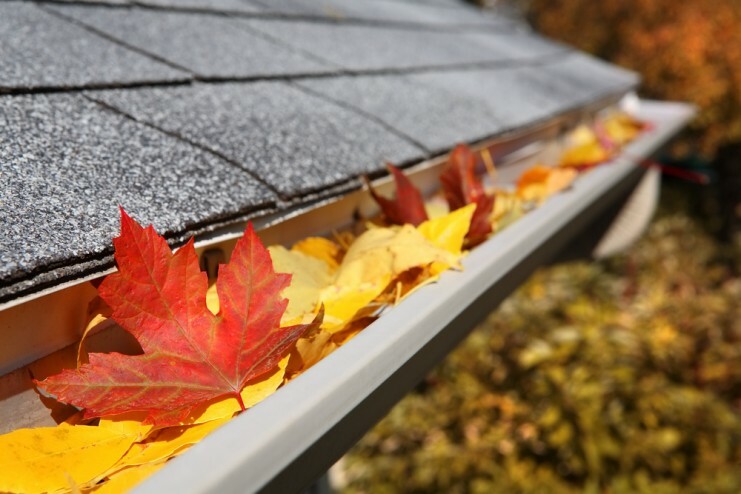 Spring and Fall are the times that you should be cleaning out your gutters. Now that it’s March it’s a great time to get working on that chore to get it out of the way. Be sure to remove leaves and other foliage debris that have accumulated over the winter. You wouldn’t want your gutters to overflow when the Spring showers start happening. Overflowing gutters and blocked downspouts can damage your home and cause mold and mildew. As the temperatures rise it’s time to take care of your lawn and garden. Start by removing branches that have fallen during the winter and planted themselves on your lawn. Check for wayward stones, then use your lawn mower with a catch bag to gather up the dead leaves and twigs. How’s your rose garden? For beautiful rose blooms, most landscaping gurus will tell you to prune your rose bushes just before the plant breaks dormancy and after the final frost. This takes place in mid-March for much of the country. Ask your local garden center if you’re not sure. Thanks so much for reading this DealDash article on March chores. Don’t forget to check back every day for new articles here are well as on our sister blog, DealDash Tips. If you have any requests for specific articles, please feel free to leave a comment below. I welcome any comments and suggestions that you might have. If you need a power washer to clean your siding, porch, and deck be sure to go check DealDash. DealDash has power washers, tools, and gardening equipment. DealDash has all of the items that you need. Visit DealDash now to see how much you can save. Good luck and happy bidding everyone! This entry was posted in Uncategorized and tagged Auction, Auctions, chores, Deal Dash, DealDash, DealDash Auction, dealdash auctions, garden, gardening, march, tasks on March 5, 2017 by . Now that we are very firmly planted into fall, it’s time to do a few different chores inside and outside the house to prepare for winter. There are the obvious fall chores that we usually think of, but there are lots of other chores that might just slip your mind until it’s too late in the season to do them. Here is a quick list of some of the lesser thought of fall chores that you might want to incorporate into your house and yard work this coming weekend. Insect spraying. Before the weather turns cold and the buggies try to make their way inside your home, give your house a good spraying around the perimeter. There are some excellent insecticides that come with their own sprayer and just need to be pumped manually. Spray the entire outside, and concentrate around the doorways and windows. You can get these great insecticides from any big box store near you. Sweep (or use your leaf blower!) to clean out your basement and garage. The dirt from summer, and those pesky fall leaves just seem to make their way in no matter how careful you are. Get them out and have a nice fresh and clean slate for the snow, ice, and salt to be tracked in. It’s a never-ending chore, but at least you might be able to keep it clean for a little while until the season changes into winter. Clean your windows, inside and out. Now is the time to clean off those grimy windows. Clean them inside and out, before it gets too cold to be able to open them up to clean the outsides. You can use windex, or even a 1/2 water, 1/2 white vinegar solution to get them sparkling clean. Swap out your summer clothing for your winter clothing. Be sure to store your out-of-season clothing in plastic totes if you are going to be keeping them in the basement, garage, or attic. This will keep them safe from moisture and other unsavory elements. I hope that you have found this article helpful to get you started on your fall chores. If you need any products that were mentioned in the article such as plastic totes, a leaf blower, or even a gift card to a big box store DealDash has them for you. DealDash has all of these items and more up for auction. Just click on this and you can visit DealDash and see how much you can save. Good luck and happy bidding everyone! This entry was posted in Uncategorized and tagged chores, Deal Dash, DealDash, DealDash Auction, dealdash auctions, dealdash.com, fall, home, house, indoors, job, outdoors, seasonal, tasks, winter, work on October 14, 2016 by .